Book our Deluxe, 1 Bedroom or 2 Bedroom 7 days in advance and receive 10% discount off our best available rate. Offer is valid now until 31 December 2015, fully pre-paid and non-refundable. Book our Deluxe, 1 Bedroom or 2 Bedroom 14 days in advance and receive 15% discount off our best available rate. Offer is valid now until 31 December 2015, fully pre-paid and non-refundable. Book our Deluxe, 1 Bedroom or 2 Bedroom for 3 nights or more an save 20% off our best available rate. Offer is valid now until 31 December 2015, fully pre-paid and non-refundable. 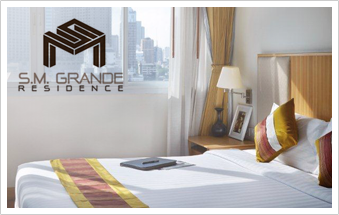 The residence features 103 comfortable rooms, 89 with fully equipped kitchens. Whether staying with us for business or leisure, long or short term, as a single or with family, you will enjoy our comfortable accommodations and wide range of facilities including an outdoor swimming pool, fitness center and kid’s club.